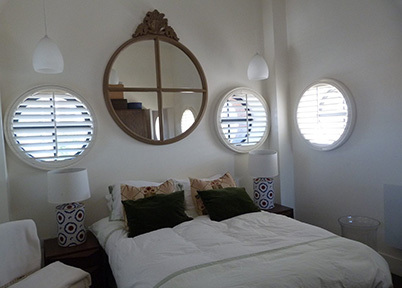 The Bespoke Shutter Company supply and install made to measure wooden shutters. 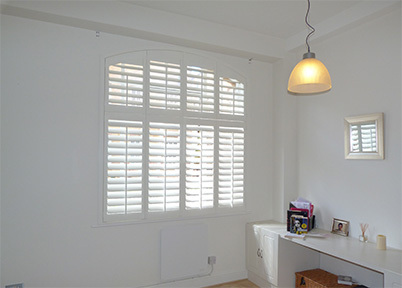 Established 10 years, we are North London's longest established shutter specialist, we source the highest quality products available and ensure that each and every shutter or blind installation is fitted to perfection. Our portfolio of clients includes domestic houses and commercial properties and we are happy to undertake projects of all sizes. We work in all of the North London including Barnet, Belsize Park, Camden Town, East Finchley, Finchley, Finsbury Park, Hampstead, Highgate, Kentish Town, Muswell Hill, Crouch End, Islington, Palmers Green, Southgate and Totteridge. We also work in South London, East London and West London including Chelsea, Bayswater, Knightsbridge, Chiswick, Ealing, Clapham, Dulwich, as well as further afield in Hertfordshire and Essex. Client satisfaction is really important to us, and here at the Bespoke Shutter Company, we personally carry out each and every job, and never use outside fitters. This enables us to provide the highest quality of service, and attention to detail. All shutters carry a 3 year guarantee from date of order. See our FAQ page for more information.